Apocalypse Wow! 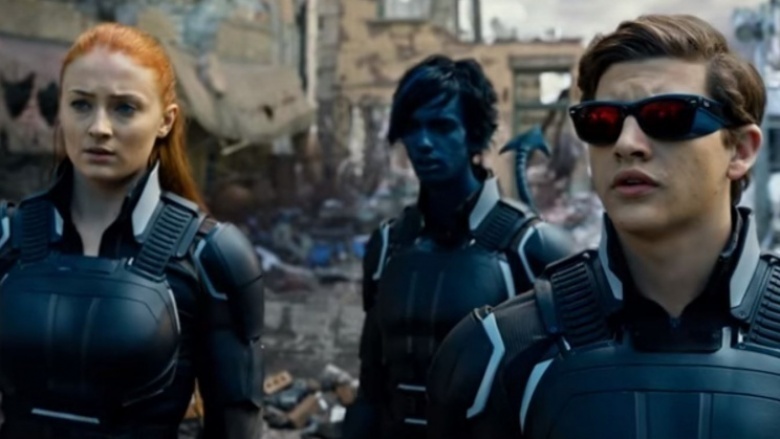 : Will This Be The Most Awesome X-Men Movie Ever? Prepare For The Apocalypse. Only The Strong Will Survive. “I’ve been called many things over many lifetimes: Ra, Krishna, Yahweh. 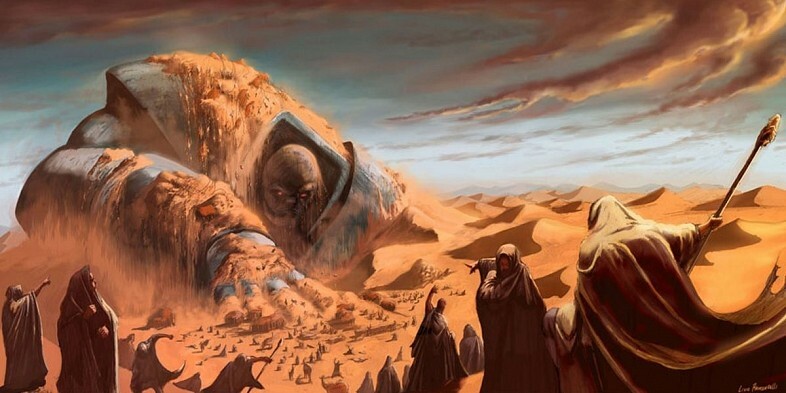 I was there to spark and fan the flame of man’s awakening, to spin the wheel of civilization” – Apocalypse. Apocalpse is a-comin’! Are you ready? As blockbusters go, this blogger could not be more excited. For the past two years, this movie has had a reserved place at the back of my mind. This week, this Post would have run with a completely different topic, but ever since last week’s well-received (yay, thanks everyone!) 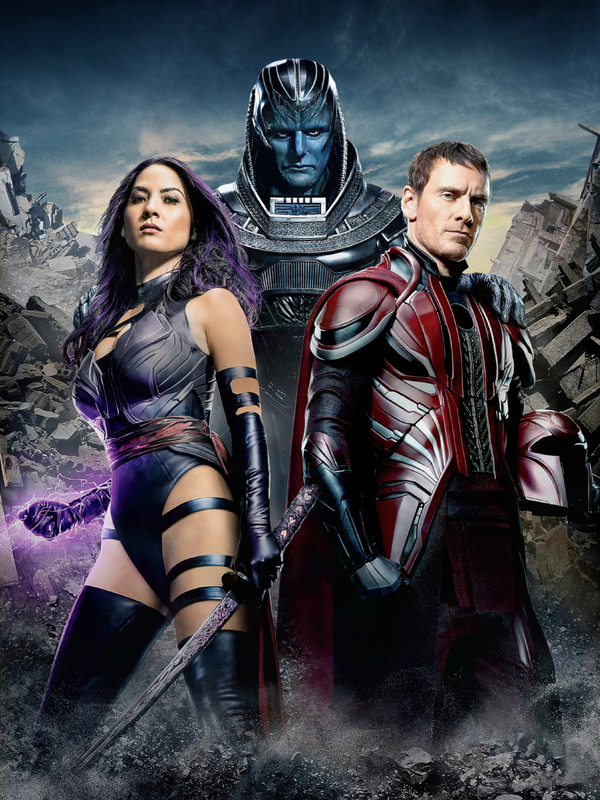 concoction, my thoughts are still running with all-things-Marvel and – crucially – the latest Trailer for X-Men: Apocalypse was released today! This has been shaping up to be the blockbuster that should set awesome new heights for the comic book blockbuster. 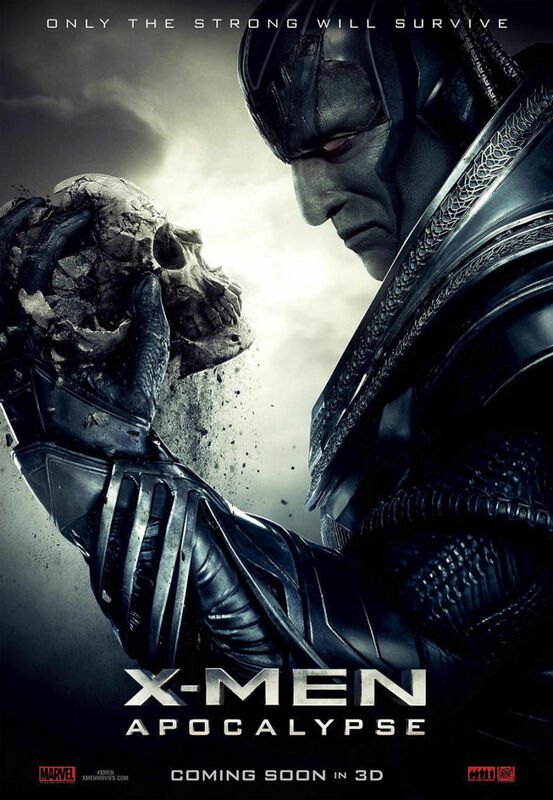 Blessed with an exceptional team of actors, with a master director: Bryan Singer at the helm, another impressive script from Simon Kinberg and Singer; not to mention boasting one of the most formidable comic book villains of all time, this promises to be a fitting finale to what has been an extraordinary X-Men Origins trilogy. Moira McTaggart: “Wherever this being was, he would always have four followers who he would imbue with power. 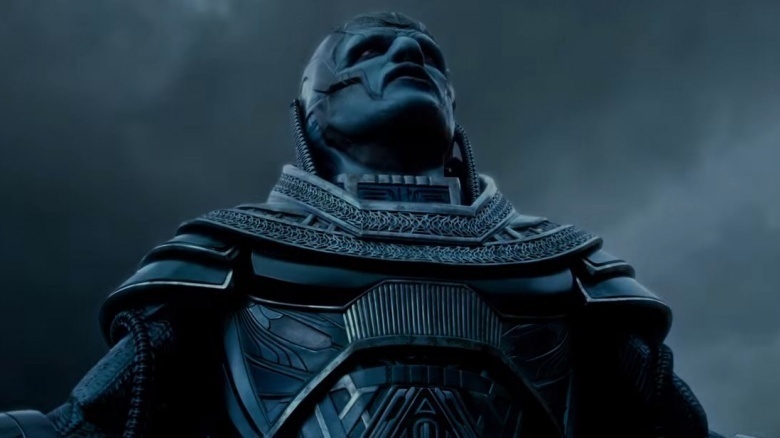 Ever since witnessing that astonishing post-credits scene from X-Men: Day Of Future Past, the character of Apocalypse has intrigued me. Naturally it is up to Prof Xavier’s team to stand against him. At some point during the mid-80s, my access to X-Men comics was lost, for reasons that not even Cerebro can unlock. 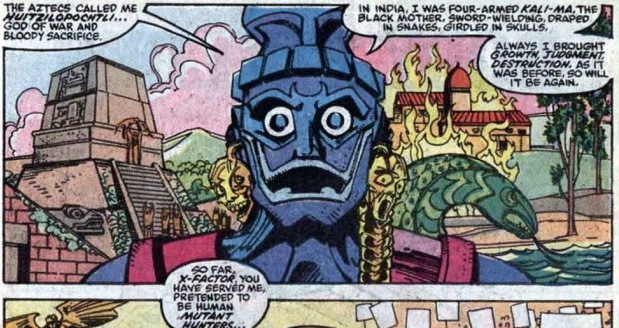 Hmm, how can the term: ‘X-Men fan’ be applied to me when my knowledge of a badass like Apocalypse is woefully lacking?! Never mind: back on the windy, rainswept streets of the UK, bookshops, comic book stores and even libraries have been frequented to catch all the mutant-lit my grubby paws can grab! There is still two months to go back through the X-Universe, swot up on background details… and become reacquainted with one of the most inspirational comic titles ever published, before this guaranteed masterpiece hits big screens worldwide. 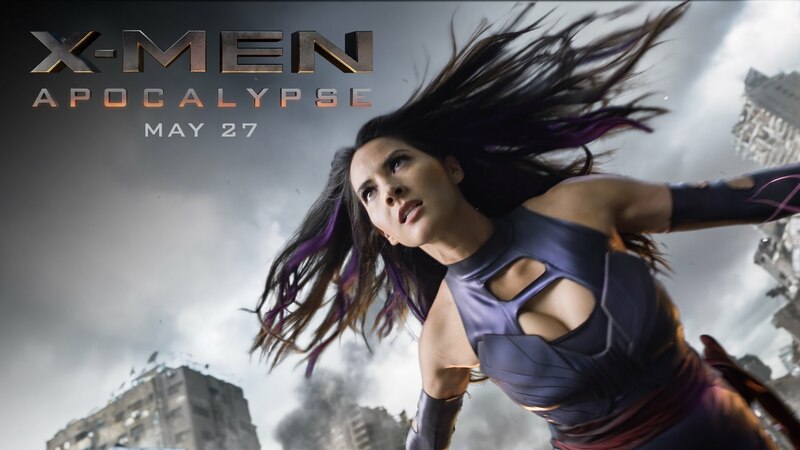 Interestingly, this forthcoming distraction was initially set to be titled: X-Men: Age of Apocalypse, but – presumably to avoid confusion with Avengers: Age of Ultron – it was renamed. “He looked fantastic. Also, the name is dynamic. It tells you right off this character means trouble… His philosophy… fit in with the harder edge of evolution which is part and parcel of the mutant story. Isn’t that what humans fear about mutants? That they are the next step?” – Bob Harras. The immortal mutant known in ancient times as En Sabah Nur made his debut in X-Factor #5 (May 1986). 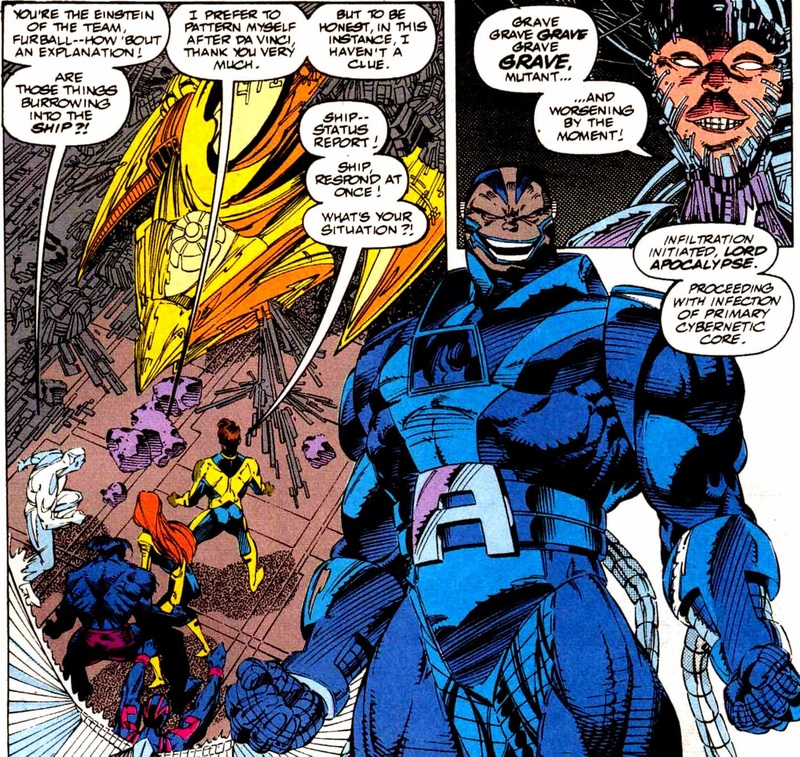 Writer Louise Simonson duly obliged, and Apocalypse made his first dramatic first appearance on the end page of that fifth issue. Not surprisingly, the sixth issue turned out to be something of a revelation. This big, bad, blue-skinned mutant became an instant hit. Since then he has gone on to make several reappearances in the main title and in other limited series and spin-offs. 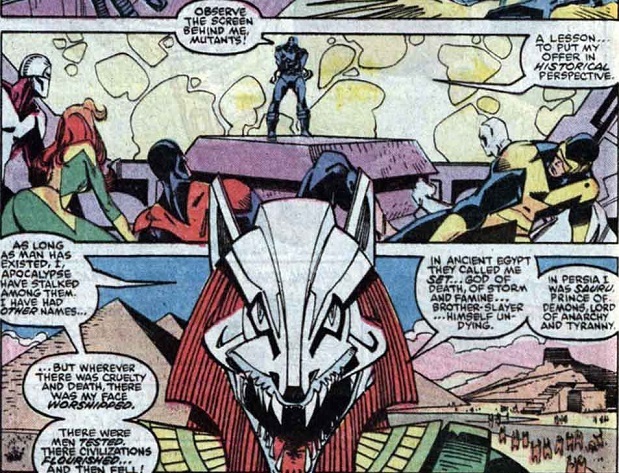 “He doesn’t distinguish between mutants and humans like the other villains do. To him it’s all just one giant screwed-up world that worships false idols. He is the God of the Old Testament: if there isn’t the order and worship then I’ll open up the Earth and swallow you whole!” – Simon Kinberg. Exactly thirty years after his inception, Apocalypse looks set to conquer the box office. Offering fresh new faces as familiar characters such as Scott, Jean and Ororo, first appearances for Pylocke, Jubilee, (and Dazzler?! ); Fassbender and (at last! A bald) McAvoy excel yet agin as Erik and Charles; an interesting new look for my fave mutant: Nightcrawler; Oscar Isaac as the titular villain (come on! ); the return of Quicksilver (and the absence – perhaps mercifully – of Wolverine). Of course, just when you think all that needed to be geeked here had been covered, yet further awesome pics surfaced. Everything they built will fall (on 27 May) – can’t wait! 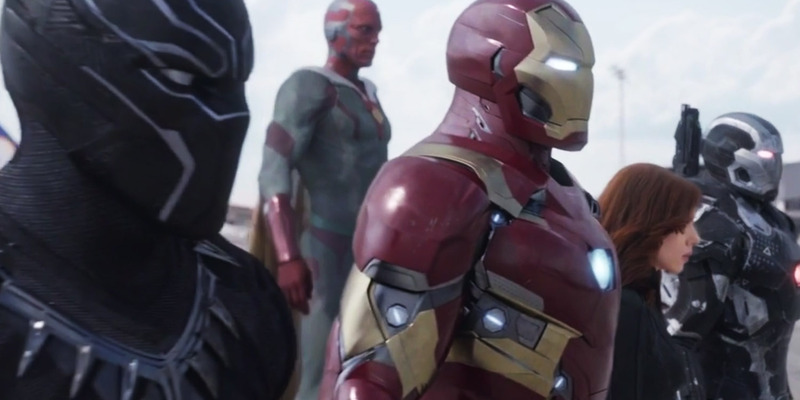 Divided We Stand: Why Can’t Superheroes Get Along? “I believe superheroes; they’re our modern myths. They’re our mythology in the modern world, and myth is designed to tell us about ourselves” – Zack Snyder. So, it’s come down to this: hero vs. hero. We are just WEEKS away from the ultimate Clash of the Capes. 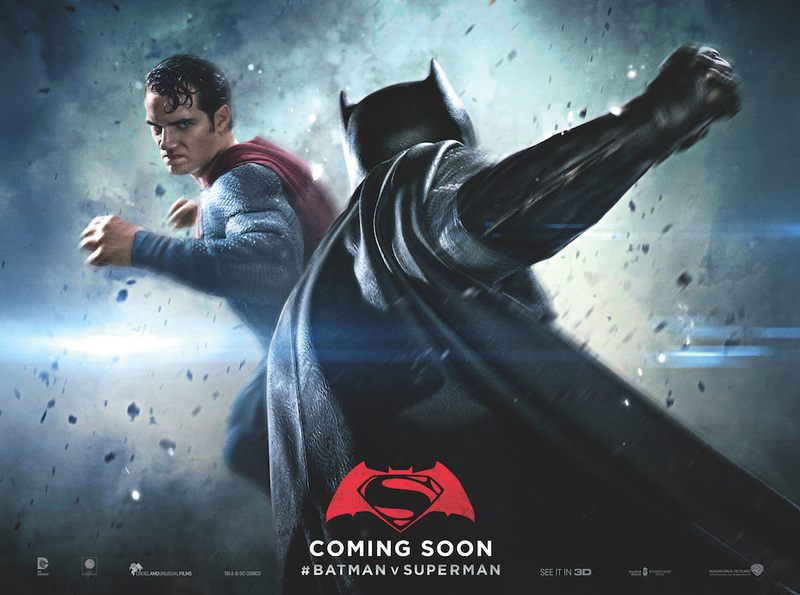 From 25 March – the two most iconic superheroes of all time will spar against each other over… (what exactly?). Meanwhile, the main event in the Marvel Cinematic Universe is the forthcoming bust-up between Cap (America) and Stark (Iron Man). We have until 6 May to choose which side we are on. As paragons of decency and role models about how we should aspire to be and behave (while our world crumbles all around us…) they are setting an off-putting example (in the name of big box office business). Who will save the heroes? i.e. who watches the Watchmen? Rorschach’s Journal. October 12th, 1985… This city is afraid of me. 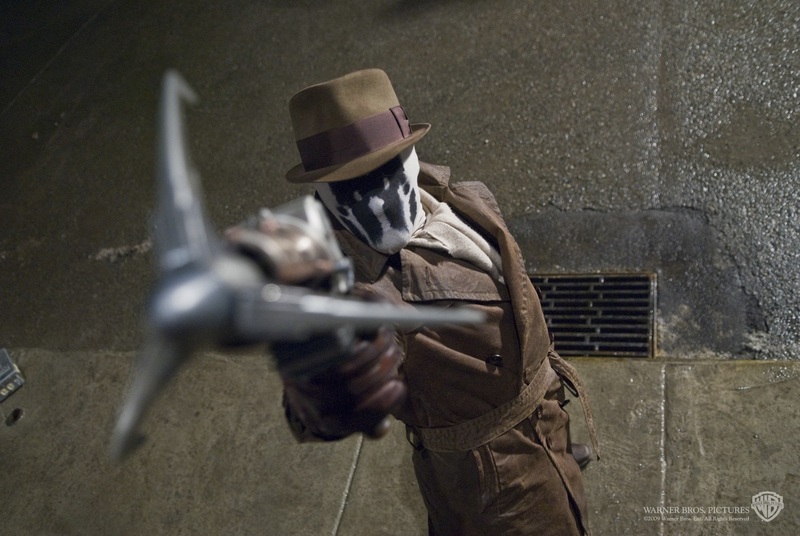 I have seen its true face… all the whores and politicians will look up and shout “Save us!”… and I’ll whisper “no” – Rorschach. Back in the old days of four-colour entertainment, everything was peachy and well-delineated: the good guys (an’ gals!) stood for truth and justice (and other tried-and-tested quaint chestnuts), while the bad guys (cue the boo-hiss crowd) stood in their way with nefarious schemes and despicable one-liners, usually masquerading under names so deliciously devious as the Crimson Claw. the Green Goblin and the Silver Surfer… eh? The Silver Surfer?! Isn’t he on our side? That, dear geeks, is the problem we face these days. In a big flashy KAPOW!, the lines that demarcated good from evil have been banished into the Phantom Zone. Yeah, trust is a difficult thing to come by these days, especially among the costumed heroes we thought we knew and loved. The groundbreaking publication – in 1987 – of Alan Moore’s Watchmen portrayed superbly how the most formidable villain a superhero team could face… would be one of their own. The 2009 adaptation was the definitive depiction of this unsettling premise. Before you can say: “What the Jor-El? 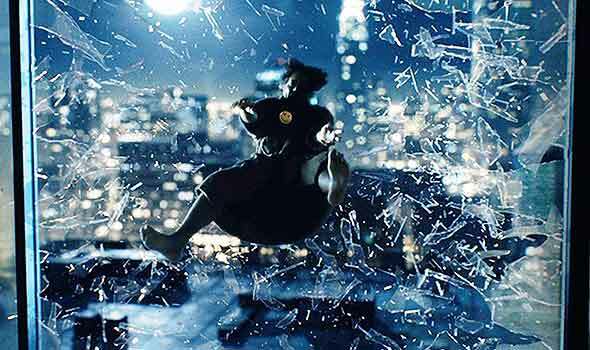 !” this year’s blockbusters have already (re)covered this same ground. Do they really need to? Instead of seeing how the Dawn of Justice Batspat escalated, yours truly would much rather watch his childhood hero go up against Brainiac, not Batman. 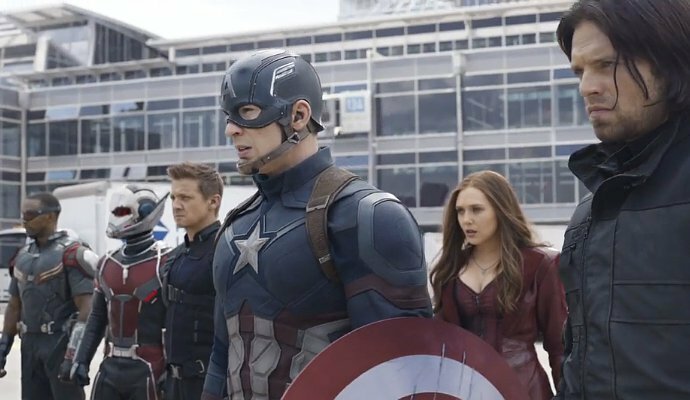 And why should the Avengers assemble (again)… only to stir up internal differences? Review the last two Avengers movies and you will find that neither of these guys got on well. Yeah, Tony, put on the suit. Go a few rounds. An’ ya know what? They did! 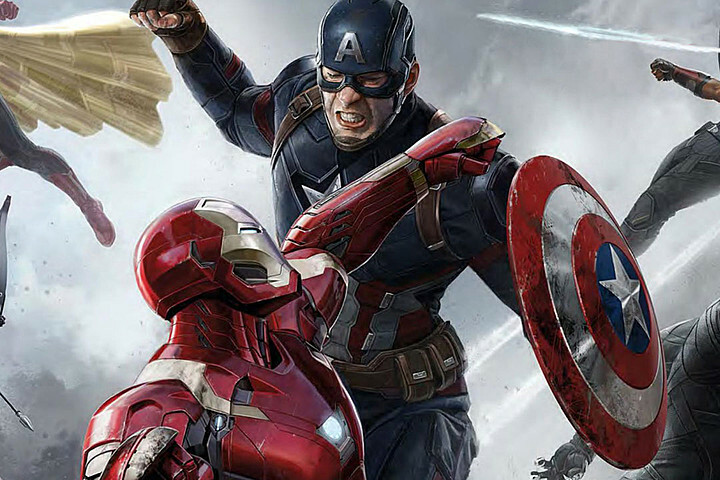 That’s one meaty scrap the Cap an’ Stark are embroiled in during that trailer. For more action, we will have to wait until the first week in May to see how this implosion ensues. Hold onto your seats: it will descend into a War; unfortunately it looks far from “Civil,” for there will be casualties, and dramatic ends to some major characters if all the online gossip is to be believed. “All those years wasted fighting each other, Charles… to have a precious few of them back” – Erik Lehnsherr. 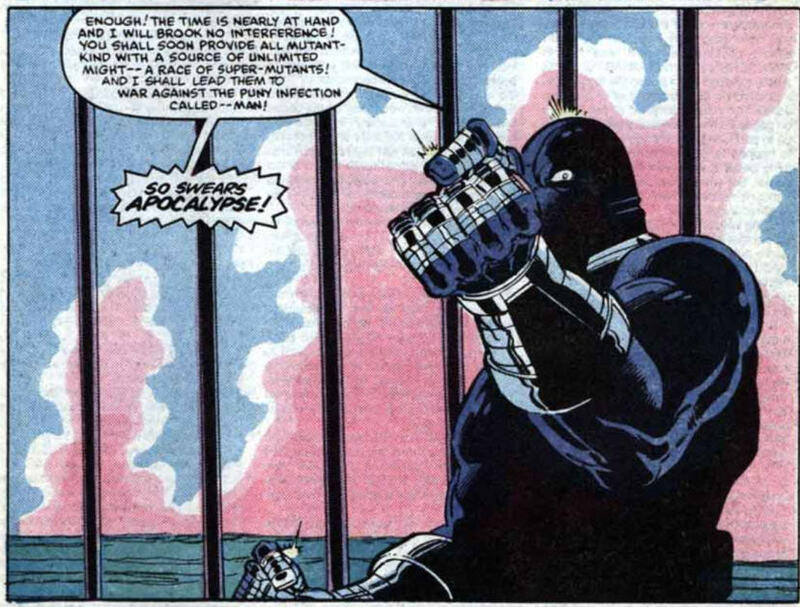 En Sabah Nur aka Apocalypse: the very first and most powerful of all mutants, is the (much-needed!) splendid supervillain we crave around here, and the main reason why this blockbuster is my most-anticipated blockbuster of the year. 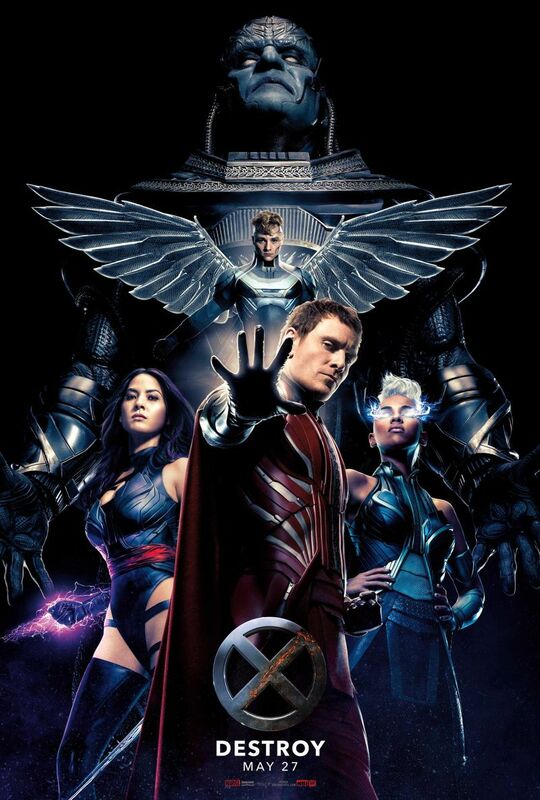 Of the Four Horsemen set to go up against Prof Xavier’s team – depicted in the simply stunning newly-released poster below – Magneto is the most familiar in this quartet. As related in the movies thus far, he and Charles started off as friends, but their differences regarding the “mutant problem” cast them apart. The other three are instantly recognisable as having been regular members of the X-Men – yes, that’s Ororo aka Storm (with the light-eyes, in the poster below), one of my fave characters. Well, if unity and harmony are assets to strive for, then they are in short supply in the DC, Marvel or any ‘verse. Sure, we dig large-scale skirmishes as part of our comic book action, but who thought it would make a cool concept to pitch these “good guys” – some we have even worshipped since we were, oh, about that high – against fellow good guys?! With good heroes exhibiting such bad behaviour – who needs villains…?